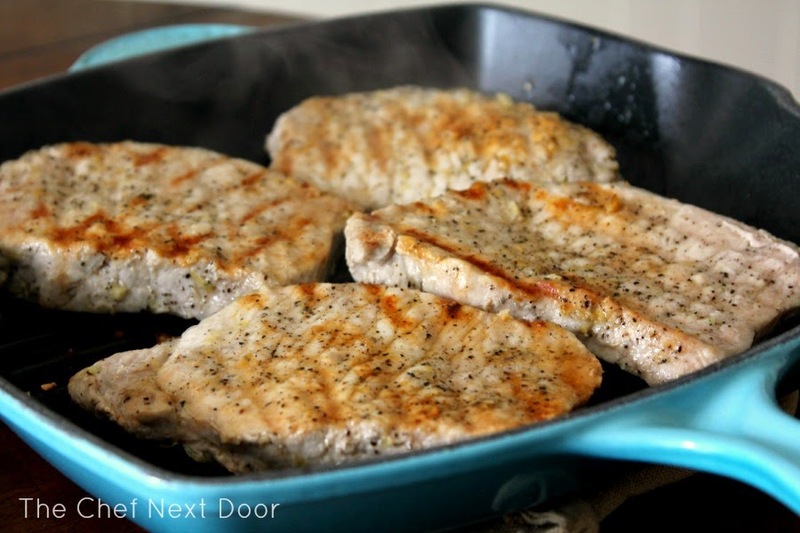 Thick, juicy pork chops rubbed with lemon and garlic and pan grilled to perfection! I love a good pork chop. It's taken me awhile to get my kids to feel the same way, but a good pork chop can be the perfect canvas for lots of different flavor combinations. This version is light, simple, and made with fresh ingredients that you most likely have at home already. I love the combination of lemon and garlic, the spicy, tart flavors go perfectly with the pork. Plus, these two ingredients are heart healthy! 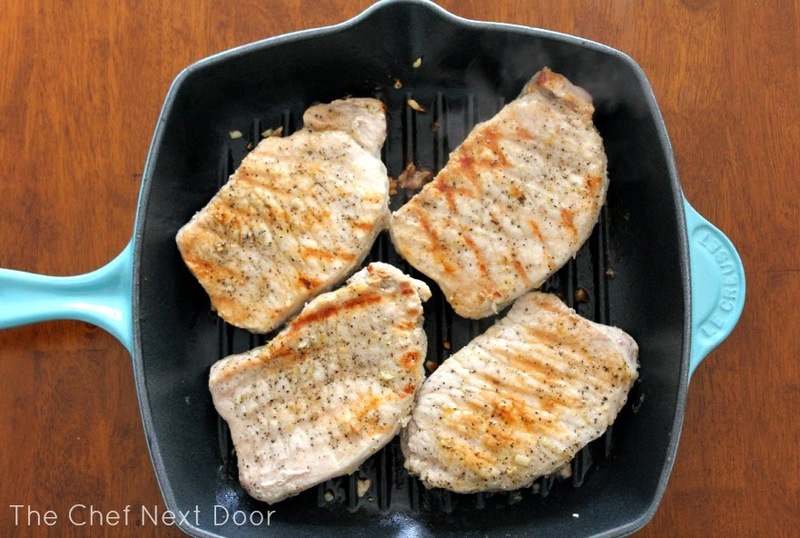 These chops are easily cooked on a grill pan indoors, but feel free to use your outdoor grill if you can! Preheat a grill pan on the stove over medium-high heat. Using a small pastry brush, brush a small amount of EVOO all over the pan. Combine the two tablespoons oil, garlic, lemon zest, salt and pepper in a zip top bag and mix to combine. Add the pork chops to the bag, seal, then massage the mixture all over the chops. Grill the pork 8-10 minutes on each side or until a meat thermometer inserted into the thickest part of the pork reaches 145 degrees. Remove the chops from the pan and allow to rest on a plate for 5 minutes before serving.